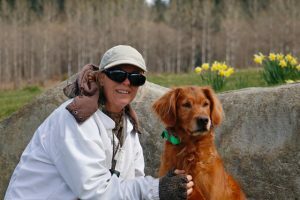 Anne Everett owns and operates Heads Up Kennels in Merville, BC, where she trains and breeds working Golden Retrievers. Anne has earned over 180 Master passes on 18 different dogs, 7 WCX titles, 7 UKC HRCH's, 7 UKC UH's, as well as Qualifying field trial wins, QFTR titles and Open field trial placements with her dogs.. She has titled 6 Grand Master Hunters in Canada, as well as 18 Master Hunters and a number of Junior and Senior dogs. Anne is a licensed WCX, Hunt Test and Field Trial judge in Canada. Anne has also earned CKC OTCH titles on two dogs and has numerous High In Trials in the Obedience Ring. 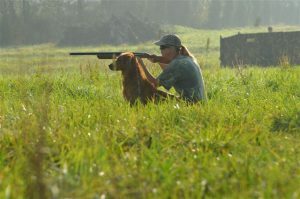 She earned the first OTCH-MH title combination on a Golden Retriever in Canada. Anne's methods focus on teaching and motivating, together with fairly applied corrections. She specializes in training puppies and young dogs. Anne recognizes that each dog is different and may require a slightly different training approach. 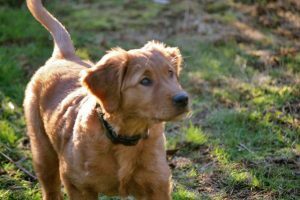 Her methods have a proven track record with a diverse number of breeds including Golden and Labrador Retrievers, Standard Poodles, Flat-Coated Retrievers and Nova Scotia Duck Tolling Retrievers. Anne's workshops cover a wide variety of topics. Please click on the workshop below that interests you. Workshops are held here at the Kennel and at locations around the Pacific Northwest. If you are interested in a workshop in your area please contact Anne. Welcome to a workshop designed to show you the trainer how to successfully incorporate marking and handling drills into your training program. Drills are a vital often overlooked part of field training programs. During this workshop we will cover drills designed to improve marking and teach multiple marking skills, as well as drills designed to teach and advance dogs towards a handling standard. You will have many opportunities to run your dog on various drills over the two days and develop a plan to help you reach your training goals. Participant dogs must have a reliable retrieve to hand and good obedience skills. Fetch and hold commands will not be covered in this workshop. This is a working clinic! Bring your dog, a lunch, a chair, a walkie-talkie, an umbrella (and shade for your dog) and raingear if needed. A 2 day workshop focused on the use of electronic collars in field work. During the workshop you will learn how to effectively and humanely use an electronic collar as part of your training program. The first day will begin with a session on how to fit the e-collar and discovering what level of stimulation is appropriate for your dog. We will then discuss the theory behind the use of e-collars, as well as their mis-use. The balance of the workshop will be devoted to demonstrating the use of the e-collar in obedience and field training. A number of obedience and field exercises will be covered over the two days. You will have the opportunity to participate in each session, based on the level of understanding your dog has of the obedience or field skill that is the focus of that particular session. For example, your dog must understand the heel command before that command is reinforced with the e-collar. This workshop is registrant driven, so please do not hesitate to ask for clarification, or for a particular session to be repeated if you are unsure about methodology. We hope you have a great weekend and remember! The collar should only be used for lack of effort. A good rule to follow is to only use the collar for "no go", "no stop" and "no come". The Right Start for Success is a workshop designed to show you the handler how to correctly start your puppy or young dog in field work. During this workshop we will be discussing building the correct relationship with your puppy, puppy/dog personality types, basic obedience and yard work, starting marking and handling skills. You will learn the correct way to introduce your puppy to gunfire, birds, holding blinds and all of the other things he/she will encounter in the field. If you follow this program, your puppy or young dog should be retrieving 40-80 yd single marks confidently from land and water within a few months. They should be used to gun fire, duck calls, decoys, holding blinds and wingers. Fetch and hold skills will be progressing. You and your puppy will be ready to move on to the process of getting ready to run in your first WC/JH test. This is a working clinic! Bring your dog, a lunch, a chair, a walkie-talkie, an umbrella (and shade for your dog) and rain-gear if needed. This 2 day workshop is unique in that it focuses on training YOU the Handler. 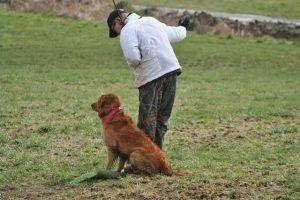 It will cover the techniques and training that you require to handle your dog successfully at all levels in hunt test and working certificate competition. If you are planning to make the big jump from Junior to Senior/Master, if your dog is consistently failing tests and you are not sure why, if you want to improve your handling skills, this workshop is for you. Topics covered include: analyzing a test, developing a plan for successfully running a test with your dog, mental preparation for competition, handling for maximum success on blinds (how to recognize hazards and how to deal with them), what to do if you and your dog get into trouble, when to handle on marks, how judges evaluate dog work in tests, how to run effective training sessions. The classroom session includes a power point presentation, handouts, demonstrations and diagrams. The classroom session will be on Saturday morning; the remainder of the weekend will be spent in the field. Field sessions will consist of test set-ups that each working participant will evaluate and run with either their own dog or a fully trained Master dog, under the supervision of the instructors. Participant's dogs are welcome, although not essential. 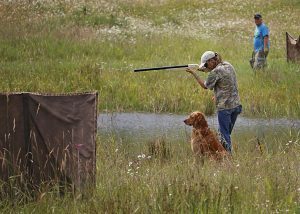 Participant dogs must have a force retrieve and be doing WCX and/or Senior level blinds. This is a working clinic! Bring your dog, a lunch, a chair, a walkie-talkie, an umbrella (and shade for your dog) and raingear if needed. Marking - double and triple marking scenarios, delayed and diversion marks. Dealing with scent and dry shots. 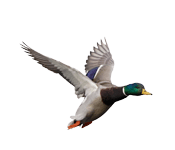 Handling - successful training for land and water blinds. Handler Training - how to run various marking and handling tests. The objective of this workshop is to help you put together a training plan that will enable you and your dog to run in Senior level tests. This training plan will also lay an excellent foundation for Master level work. 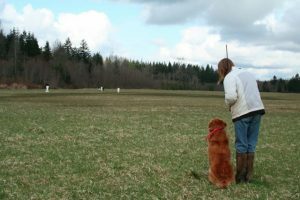 The plan includes a number of drills that will advance your dog's handling and marking skills, as well as some ideas for improving your handling of your dog in training and at hunt tests. Participant dogs must have a reliable retrieve to hand and good obedience skills. Fetch and hold commands will not be covered in this workshop. This is a working clinic! Bring your dog, a lunch, a chair, a walkie-talkie, an umbrella (and shade for your dog) and rain-gear if needed. A workshop designed to show you the handler how to successfully prepare for and run your dog in a WC, WCI or a WCX test. During this workshop we will cover working certificate rules and test formats. Also discussed and taught will be the skills that you and your dog need to know to successfully participate in the three levels of the CKC working certificate test program. You will have multiple opportunities to run and train your dog on actual test set ups on land and water. This is a working clinic! Bring your dog, a lunch, a chair, a walkie-talkie, an umbrella (and shade for your dog) and raingear if needed.